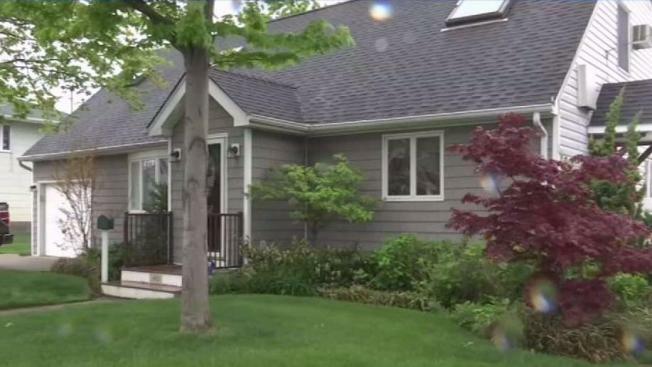 Homeowners are saying that the town of Hempstead is now telling them to elevate homes because of Sandy damage that some didn't even know about. Pei-Sze Cheng reports. In the nearly six years since Superstorm Sandy, many have rebuilt their homes and moved on with their lives. But in one Long Island town, residents are just now learning they have to elevate their homes. When Chris Hsieh bought his Oceanside home in 2014, it was advertised as completely renovated. But when he recently applied for a permit to install solar panels, he was shocked to receive a letter indicating his home had suffered "substantial damage" during Sandy and would need to be elevated. "There's no way for us with raise this house with two kids and one salary," he said. Neither Hsieh's realtor nor his attorney nor his title company could find out why. That's because the town of Hempstead said it didn't exist. Homeowners in Hempstead say they're being asked to start over after rebuilding from Sandy after getting notices from Hempstead five years later. Pei-Sze Cheng reports. Hempstead's flood plain manager Rebecca Faust told the I-Team that because the previous managers had never applied for a repair permit at the house, she had never done a substantial damage assessment for the property. "We can't make a determination on what is substantially damaged until the information is provided by the property owner," she said. Faust said the inspections that were done directly after the storm was "a general assessment, basically. If a house was in immediate danger, it was marked a red. If it was a yellow, that means there was some type of flood damage." 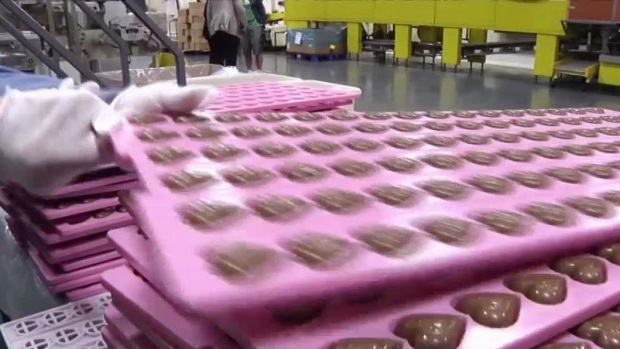 Nearly six years after Superstorm Sandy, a Queens chocolate company is getting back to work. Roseanne Colletti has more on the sweet success of Madelaine Chocolate Company in Rockaway. It's not clear if homeowners knew what color code they fell under. "They were left notices that we were there, that we saw there was flooding, and that permits would be needed," said Faust. Mike Cascio, who has worked as a contractor in the town of Hempstead for 30 years, said he never saw that form on his own home or any of the homes he worked on. He also didn't apply for a permit because he said town workers told him he didn't need one. 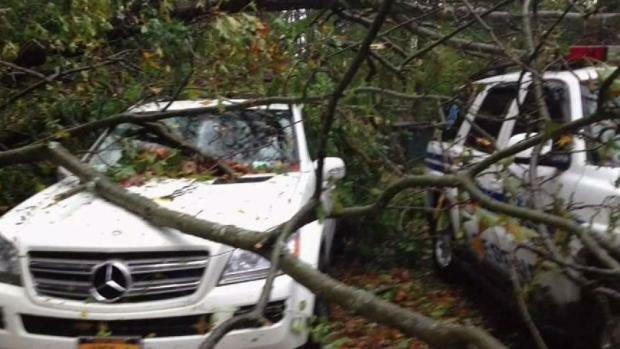 A Long Island man was hit with massive fines -- and a possible jail term -- after cutting down trees in the wake of Sandy. Pei-Sze Cheng reports. "I specifically went out of my way to talk to them because I knew we were working without permits," he said. "I was told to proceed, go right ahead, we'll worry about permits later." Now, six years after his home was renovated, Casico, too, has a substantial damage letter and has to elevate his home, which is more difficult now that NY Rising has stopped accepting applicants. "It's worse than the storm," he said. "It's a big number. It means tearing your house up all over again." 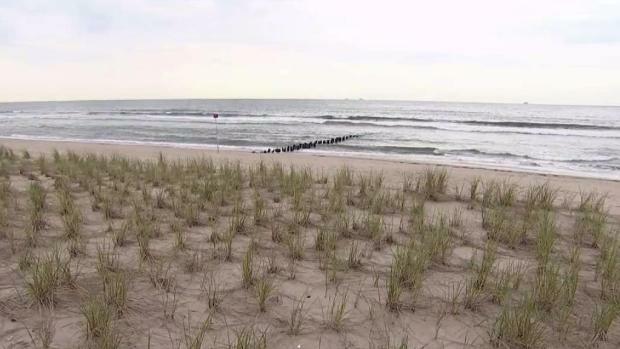 Hopes of hitting the surf on a stretch of Rockaway Beach are about to hit a roadblock this summer. Gus Rosendale reports. Retired Nassau County detective Robin Archbold also thought she'd taken the right steps to repair her Sandy-damaged home. 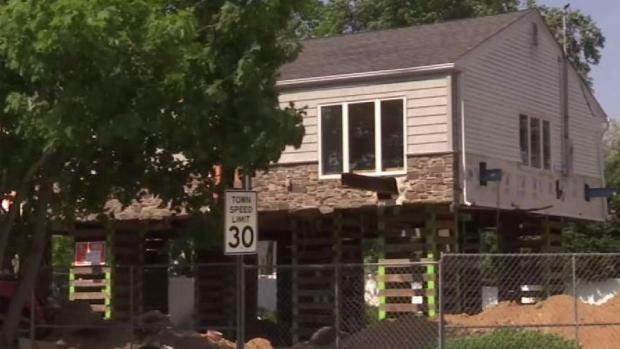 When she applied for her repair permit, she asked to elevate her home -- but the request was denied because the town of Hempstead said her home wasn't substantially damaged. "I couldn't understand why they were telling me that, since it had been destroyed twice, but that's what my insurance would pay for and I needed to get back to my house," she said. Only after the work was complete and Archbold had pieced her life together did the flood plain manager tell she would need to elevate her home and refused to give her a certificate of occupancy. "I sobbed like a baby," she said. "I sobbed that she couldn't do this to me, because my house was completely repaired and nobody had notified me prior to the completion." Archbold was able to find out in time to apply for NY Rising, but she still had to dig into her retirement savings to pay for the construction costs. "It's disgusting," said Archbold. "I believe the town is just holding people at bay." As for the preliminary damage assessments that so many homeowners say they'd never seen, the town of Hempstead has agreed to place those in property folders so residents and potential buyers can be informed.